Chutney is an integral part of Indian food. The chutney varieties in India are super diverse, with ingredients ranging from mint, yogurt, mango to peanuts. 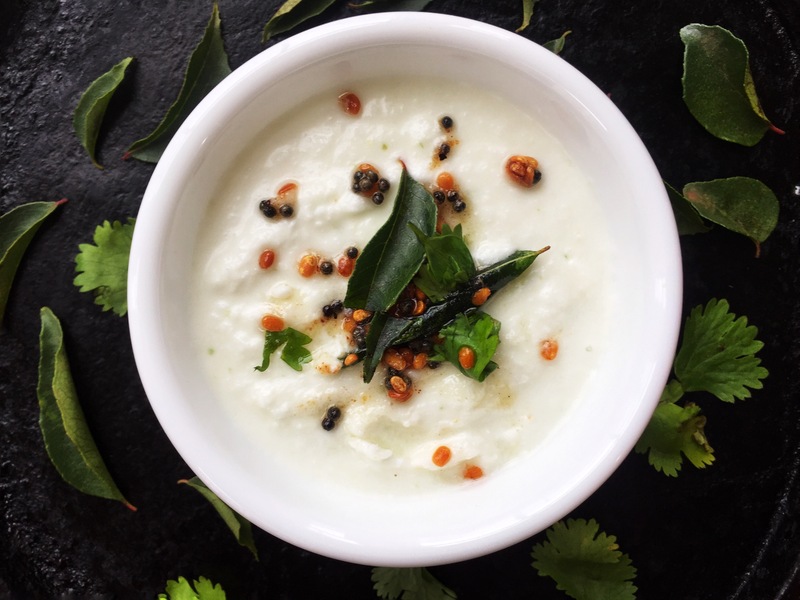 In South India, coconut chutney is the most popular and simplest of them all. This is a minimalist’s paradise! 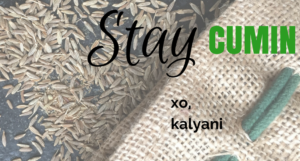 It is effortless, quick, versatile, and made of very few items that are common in a South Indian household. Typically, coconut chutney is featured as a side dish to many breakfast items such as idli (steamed rice cake), dosa (rice-lentil crepe) or rice dishes like pongal (click here for my pongal recipe!). This is one of the milder chutneys – it is soothing to the palate and is a spice-buster that helps bring down the heat of your main dishes. You will need a blender or grinder. The one I use is Preethi CHEFPRO Plus. You can find it on Amazon here! Use the blender to grind coconut, green chili and ginger together. Then, temper the coconut mixture with mustard, urad dal, asafoetida, and curry leaves. Garnish with cilantro and you are done! You’re already an expert Cumin Being! Add coconut, green chili and ginger to a blender. Grind the mixture while gradually adding water to get a smooth consistency. Be cautious when adding water as you do not want the chutney to be watery (think hummus). Transfer the mixture to a bowl. Add salt, yogurt and mix well. Prepare the seasoning. In a small fry pan, heat 1 tsp of oil. Add mustard seeds and close the pan with a lid. Turn the stove to low heat. The mustard seeds will start to splutter. When the mustard seeds stop spluttering, add urad dal and asafoetida to the fry pan. Saute until the dal turns golden. Add curry leaves and turn the stove off. Add the seasoning to the coconut chutney. If you do not have the seasoning items, you can sprinkle cayenne pepper, paprika, or crushed black pepper as seasoning, and garnish with cilantro or mint. It’s your choice! Versatility is your friend here, so be creative!